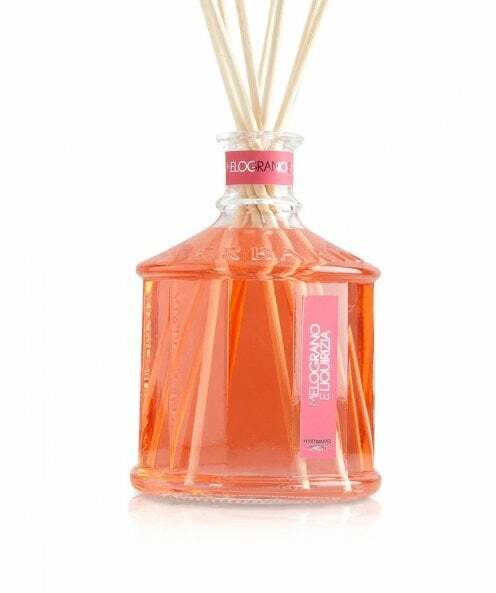 A delightful fruity fragrance for those who prefer a sweet scent, the Erbario Toscano Pomegranate & Liquorice 1L diffuser is an excellent gift option as well as a great addition to your home fragrances. The sweet top notes of fruity pomegranate and herbal liquorice create an exciting aroma for your home. Made in Italy, the luxury reed diffuser comes in a branded gift box for professional presentation.